I borrowed this from Dorie Greenspan’s blog and it seems to be one of her favorites too. We enjoyed these last night with some ‘Cowboy Sausage’ from the local butcher and a spinach salad from the Best of Bridge that I was surprised to find that I hadn’t posted yet (will do probably tomorrow). The muffins were great with a bit of butter and a dab of raspberry jam and apparently the recipe works for 48 miniatures as well. Preheat oven to 400 and grease a 12 cup muffin tin. In a large bowl, whisk together the 7 dry ingredients and in a smaller bowl, whisk together the buttermilk, butter, oil and eggs. Pour the wet ingredients into the dry and use a spatula to gently combine it all together – it will most likely be lumpy. 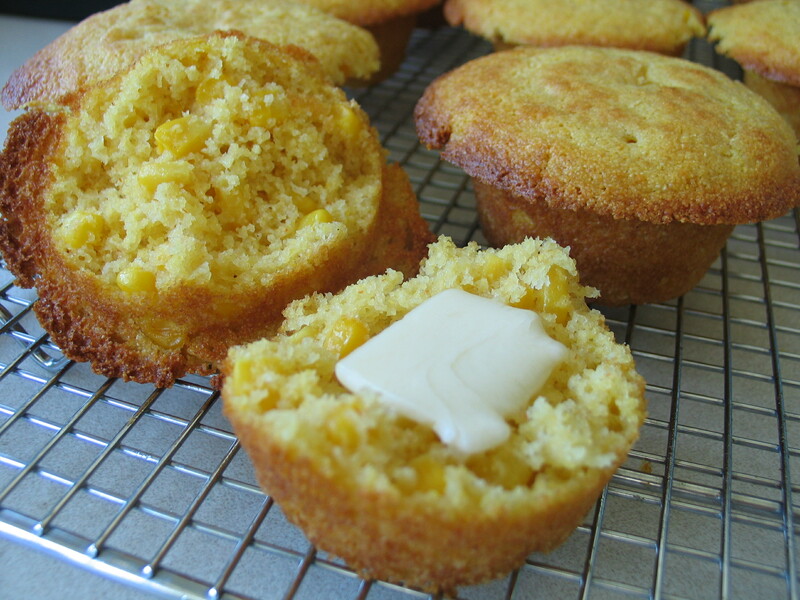 Stir in the corn and then divide the batter evenly among the muffins cups. Bake for 15 minutes, the tops should be slightly brown and the centers firm. 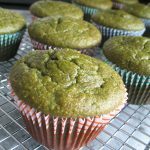 Allow the muffins to rest in their tin for 5 to 10 minutes before carefully removing to a rack to cool. Enjoy!